Science Fiction sitcom starring Nick Frost, Miranda Hart and Kevin Eldon, created and written by Andy Riley and Kevin Cecil. 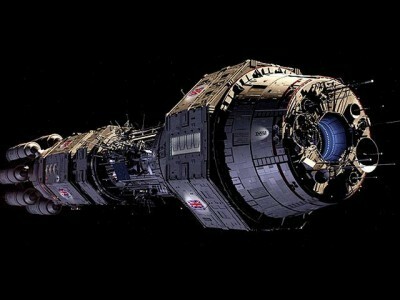 It’s about life and death on the British Space Force vessel H.M.S. Camden Lock in the year 2151. It ran for two series in 2006 and 2007. Here’s the fantastic negotiation skills of Commander Henderson (Frost) in full effect.